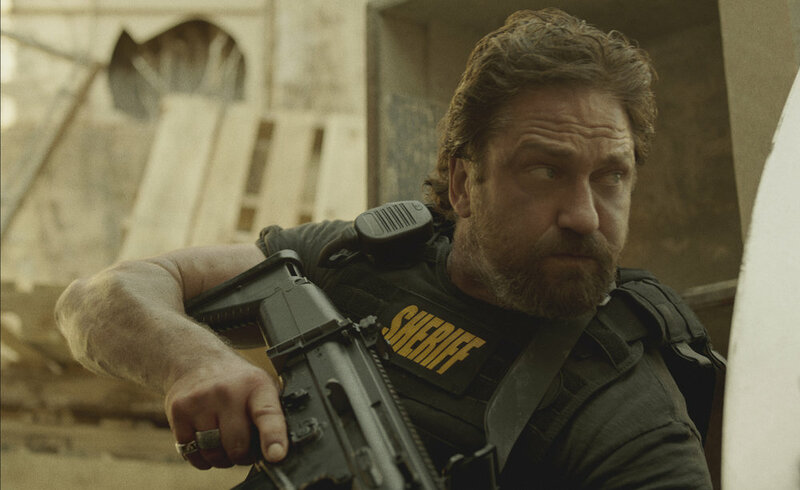 Here's something I mean with all the generosity of spirit that I hope I possess in my heart: Den of Thieves, a new—well, newly released—crime movie, is not as bad as one might expect the directorial debut from the screenwriter of A Man Apart and London Has Fallen to be. That's because writer-director Christian Gudegast has taken the greatest Los Angeles cops-and-robbers movie ever made and replicated it as closely as one can while filming in Atlanta, with a growling Gerard Butler standing in for an ad-libbing Al Pacino. My NPR review of Den of Thieves is here. I believe the phrase "coffee-table action flick" is a Klimek Original. Dry Goods: Hamlet and Sovereignty, reviewed. The January Man: The Commuter, reviewed.